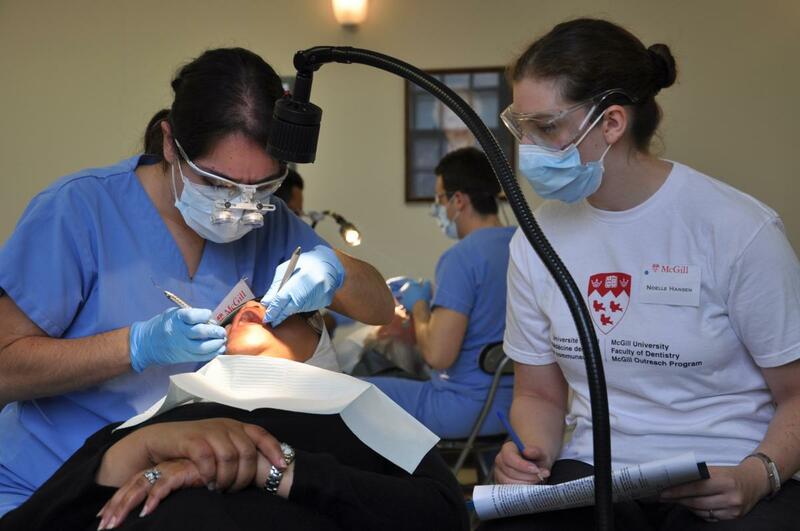 University and CEGEP students interested in the McGill undergraduate dental programs are welcome to shadow current dental students at the McGill University Dental Clinic. This observership provides prospective students with an opportunity to meet current students and learn more about the program. To schedule a shadowing session, please fill in the form below. Please note that this program is only offered during academic year, i.e. from September to April. Due to the high demand of the shadowing program, we can only accommodate ONE shadow visit per person. Clinics normally take place at the following listed times. Please check off the times that are most convenient for you. You are not expected to stay for the entire duration of a clinic although you are welcome to. It is expected that you present yourself at the reception desk 15 minutes prior to the start of a clinic to meet the student responsible for your shadowing session. The McGill University Dental Clinic is located at 2001 McGill College Avenue, Suite 100. You will be contacted via email to confirm a proposed date and time for your shadowing session. If you have any further questions, please feel free to mcgilldentshadow [at] gmail.com (email) us. Please dress professionally and bring eye protection (safety glasses or prescription glasses) as these are mandatory for any individual entering the clinic. I will present myself to the reception desk 15 minutes prior to my scheduled clinic shadowing time to meet my assigned dental student. I understand that the dental clinic is a professional environment where I am to conduct myself in a respectful, professional and appropriate manner and maintain patient confidentiality. I understand that I may be immediately excused from the clinic if my behaviour or verbal conduct is deemed inappropriate at any time. I will respect the rules and regulations of the clinic as per the instructions given to me by my assigned dental student.